BBC News - Why not ban all drink-driving? A government report recommends cutting the blood-alcohol limit for drivers, but critics say this risks confusing motorists about how much they can drink. Might we just as well go for an outright ban? Barely 40 years ago, driving after drinking alcohol was a common occurrence. Today, it is socially unacceptable to all but a tiny minority. But as the families of those who continue to die on Britain's roads will attest, the problem has hardly disappeared. 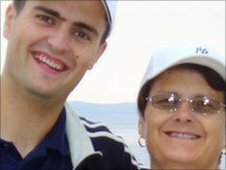 "My son was declared dead at the scene, but the other guy was cut out with minor injuries. He was three times over the limit, but the limit has got to be zero when driving. "Alcohol affects people differently, but so long as people are allowed to drink, there is an excuse. Our thoughts are: for the sake of a £10 taxi fare, just because the guy didn't want to pay out, our son would still be alive." It is an issue legal expert Sir Peter North has been charged with tackling. In a report commissioned by ministers, he calls for a reduction in the driving limit from 80mg to 50mg of alcohol per 100ml of blood, bringing the UK into line with most EU countries. It's a decision so far only devolved to Northern Ireland, which intends to make the same cut. It's a move supported by a wide range of groups from across British civil society: the Association of Chief Police Officers, the British Medical Association and the Royal Society for the Prevention of Accidents. Even many drivers' groups back the reduction, with the RAC offering its support and the AA saying that two-thirds of its members are behind it. But the proposal has attracted two sets of critics - on the one hand, those who say any reduction would be a draconian crackdown on hitherto law-abiding motorists, and on the other, supporters of zero tolerance who want drinking and driving banned outright. They may appear to have very little in common. But both sets of sceptics agree on one point: a 50mg limit would lack the unambiguous clarity of an outright ban. A 2005 study by Professor Richard Allsop of University College London divided the UK's drivers into three groups: the overwhelming majority who do not drink and drive at all; the 1% who drive well over the limit regardless of the law; and about 2% who drive after drinking, but seek to stay within the limit. The key question for all sides is how those in the latter category might respond to any changes - and both supporters of zero tolerance and opponents of any reduction believe the halfway house of 50mg would simply confuse them. Road safety campaign group Brake believes any partial reduction should only be a stepping stone to a limit of 20mg - as close to an absolute ban as possible, it believes, without penalising those with trace elements of alcohol in their bloodstream from, say, using mouthwash or nibbling on chocolate liqueurs. Campaigns officer Ellen Booth warns even a 50mg limit would encourage misapprehensions about a certain alcohol limit - such as a small glass of wine or a half-pint of beer - being safe to imbibe before driving when, in fact, no such standard can be calculated given people's different physiologies and metabolisms. "There's no way to calculate what's a safe limit - as it stands, basically people have to guess," she says. "The Department of Transport's Think campaign tells people not to drink and drive at all, but the law says otherwise. There shouldn't be any room for confusion." "We think this would harden attitudes - people don't take notice of daft laws," he says. "You've got to have legislation that is sensible. "Simply fiddling with the limit confuses what should be a clear message: don't drink and drive." Mr Humphries argues the drop in drink-related road deaths has far more to do with tough enforcement and hard-hitting road safety campaigns than the actual legal limit. 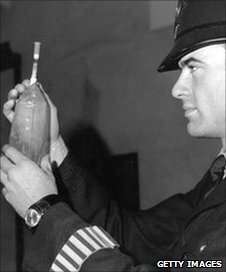 Indeed, there is little doubt that drink-driving deaths have fallen sharply since the 80mg limit was introduced in 1967. In 2008, the most recent year for which figures are available, 430 people were killed in road accidents involving illegal alcohol levels in Britain, up from 410 in 2007. But according to the Department of Transport, the figure is still down by two-thirds on the 1970s, despite a large increase in the number of cars. In international terms, the statistics are more ambiguous. The World Heath Organization estimated in 2008 that the proportion of UK road deaths attributable to alcohol was 17% - higher than Sweden on 16%, Germany on 12% and the Czech republic on 3.4%, but lower than France on 27%, the Irish Republic on 37% and Estonia on 48%. Overall, the European Commission says UK road deaths are relatively low at 43 per million inhabitants compared with 54 per million in Germany, 67 per million in France and 98 per million in Estonia. Robert Gifford, executive director of Pacts, is a strong supporter of the 50mg limit, arguing that it sends a clear message without punishing those who consume only a very moderate amount of alcohol. He says a landmark study conducted in Grand Rapids, Michigan, during the 1960s suggested the likelihood of involvement in an accident becomes greater at this point. "We know that the probability of being involved in an accident increases after 50mg - you're not just stating an abstract level. Of course this is only part of the solution - you have to accompany it with enforcement and advertising." 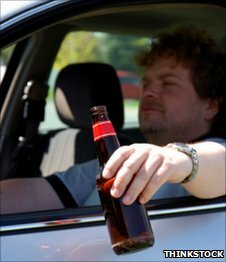 He also cites a 1998 study by the Department for the Environment, Transport and the Regions which suggested that between 50mg and 80mg, drivers were 2-2.5% more likely to be involved in a collision than those who had not touched alcohol at all, and six times more likely to be involved in a fatal crash. Whether the coalition government follows Sir Peter's advice, of course, remains to be seen. When the review was launched in December 2009, shadow transport secretary Theresa Villiers said the Conservatives had "yet to be convinced of the case for an across-the-board reduction in the drink-driving limit". The Liberal Democrats, however, support a reduction to 50mg. All sides may be unlikely to find common ground soon. But they will surely each concur that a single death on the road due to drink-driving is one too many. A 20mg limit is a really good idea. BUT it needs to be made clear that the limit only allows for using mouthwash etc. As a teen, I know some people who think a pint of beer is only a few milligrams - i.e. the % alcohol content on the bottle. There should be a large warning on the side of each bottled drink that tells the drinker how many mgs of alcohol they are consuming. Surely the simplest solution is to say that people should not drive at all if they have consumed alcohol. This will remove any and all potential misunderstandings. This is what is practised in Japan. If you are involved in an accident and you have been drinking, you can be punished quite severely under Japanese law. Even if the accident is deemed to be anther driver's fault, you can also be held partially responsible if you have been drinking. Please everyone, look at the graphs. They speak for themselves. Our country has the LOWEST accident rate of ALL these countries. That's because we take our driving very seriously. Changing the law might even be counter productive, and will do nothing to deal with those who drink too many pints and drive. If it ain't broke don't fix it. The limit was set sensibly in 1967, everyone understands it and there's no real reason to change it. The government have rejected it in the past, but people still keep having a go, don't they? I believe a zero tolerance level is too draconian - what about the people that use a taxi or share transport, drink sensibly and then drive to work the following day? 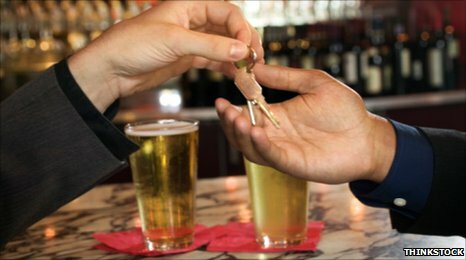 What is more important is enforcement and the penalty if caught - you will never deter the habitual drinker but confiscate their vehicle and ban them and that should stop them driving. If they do it again then it's either a more onerous financial penalty or off to prison. If, like me, you've been close to someone who is no longer around because of a drunk driver, reducing the limit to 20mg is a no-brainer and long overdue. Even at the legal limit, causing someone's death from behind the wheel is paramount to manslaughter. Leave it alone. The largest job was to change peoples minds about drink driving. It has become socially abhorrent. People who still drink and drive will continue whatever the limit. In a time of massive cuts to public spending how much is all this discussion and research costing for a problem that has been solved as much as it possible to solve. You will never have zero deaths attributed to drunk drivers. The issue is no longer a matter of drinking and driving at the same time, but how much time needs to elapse between drinking X units of alcohol, and having blood that is virtually clear. It looks like we are in the "forgotten man" territory again, the many having their lives over-regulated because of the few that the authorities are too lazy and incompetent to deal with. I am pretty sure I've seen stats that show a disproportionate number of drink-related accidents involve people without licences, at well beyond the existing limits. Dealing with this latter group would also improve safety away from the roads as well. Having worked for the ambulance service and had to deal first hand with many accidents involving drunk drivers, there is no doubt in my mind that the only way forward is an outright zero limit. It may indeed sound draconian, but driving is a privilege, not a right, it should be reserved for people who are mature and sensible enough to take on board the responsibility of driving a lethal weapon. We are very lenient with regard to punishment in this country, I have long felt that anybody convicted of DUI of alcohol or drugs etc should simply lose their licence for good. The biggest problem with ultra-low limits is that they do not remove ambiguity or guesswork at all. They still leave open the question of how long must you wait after drinking before it it safe to drive. In Sweden, most drink-drivers are actually caught on the morning after. As a moderate drinker and the only driver in the family, I would be happy with a level of zero - I hate having to watch what I'm drinking, so just don't touch a drop if intending to drive. Makes eating out a bit of a pain as good food ought to be accompanied by wine (so I sometimes put my foot down and insist on a taxi!). Although I think it would be better to have an outright ban, and thus avoid any confusion, I appreciate that mouthwash and medication etc can leave residual traces. The limit should be much lower at the 20mg level, but also the punishment should be much harsher if you are caught. Something like a two-year instant ban would hopefully discourage most of the chancers, although there would always be that small minority that would drink and drive and then continue to drive while banned.